The QEII Centre hosts over 400 events a year and sees thousands of visitors pass through its doors. As you can imagine this inevitably leaves results in a fair amount of lost property being handed in. 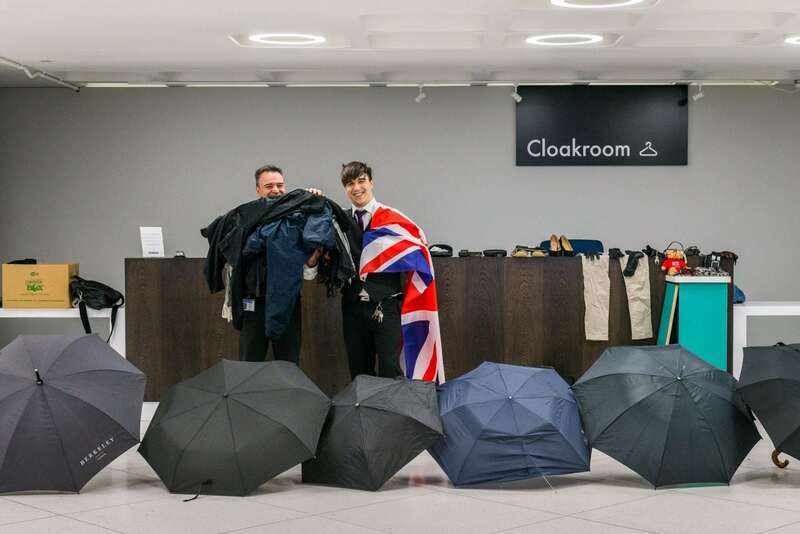 A quick rummage around November’s lost property (as pictured above) uncovered the usual suspects, 9 pairs of glasses, 5 lonely gloves and 6 umbrellas but also a pair of trousers and a union flag. It got us thinking, what other weird and wonderful things have found their way into lost property over the years? Father and son Reception duo, Robbie and Roberto have been at the Centre for years and we could think of no-one better to get the low down on some of the more unusual items left behind. It probably won’t come as a surprise that these items remained unclaimed! We have asked Robbie and Roberto to keep us posted on any more head scratchers that end up in the lost property box.